At Silantra, we believe in using fresh ingredients from local farms and companies whenever we can. We have a simple concept - take the best ingredients and classic recipes from traditional Asian dishes, simplify and turn them into bites of freshness, and allow you to pick and choose what you want in your Silantra scallion pancake 'bing' or bowl. We will let you know the latest and greatest news, coupons, events, and details from our kitchen! We will also give you a free ‘bing’ for your birthday! Sam — Former VC guy and engineer, part genius and part master chef. Cindy — Former consultant and previous business owner, her smile won't fade from your memory as she loves to listen and serve. Sam and Cindy came up with their idea back in college at Penn State University. They saw a missing link connecting Chinese cuisine and healthy food. After graduating, they pursued their career paths. In 2015, these two love birds came together to make their college vision a reality. Inspired by street kitchens all over Asia, they decided to bring a version of the fast casual dining experience to the streets of Lancaster to start. 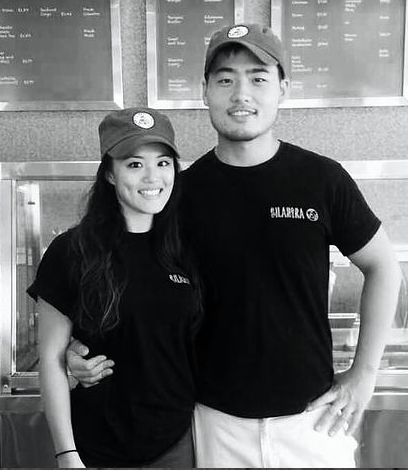 With a passion for food and for giving back, Silantra started out giving 100% of their tips to local nonprofits selected by staff and community members, now their mission is giving 1% of their total sales each month back to the Lancaster community. Eat good. Do good. Feel good.